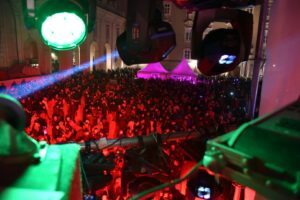 Your Event Engineering Partner in Austria! We provide all your needs of technical equipment & services for events. Located near Vienna, we’re your Austrian partner vor events! Zur deutschen Seite! – Nous parlons français! 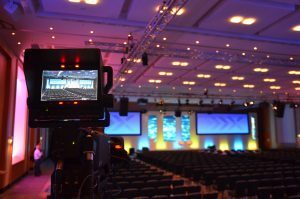 You need technical equipment for your event – we’ve got it! Our rental park includes sound systems, live mixers, wireless microphones, moving lights, projectors… all different sizes to perfectly fit your requirements! You’re coming to Austria organising an international conference? We’re the locals, let us help you with our expertise! From consulting to live interpreters, from headsets to spotlight – just ask us! 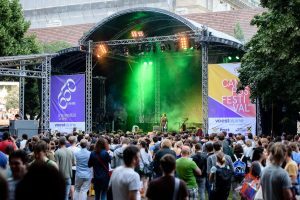 We do have different, flexible sizes and configurations of stages for open air events – be it a small trailerstage with very short setup time, or a huge stage for large audiences. We know our profession very well, and have been operating from the Vienna region for decades – spreading to almost all neighbouring countries for projects with our satisfied customers.